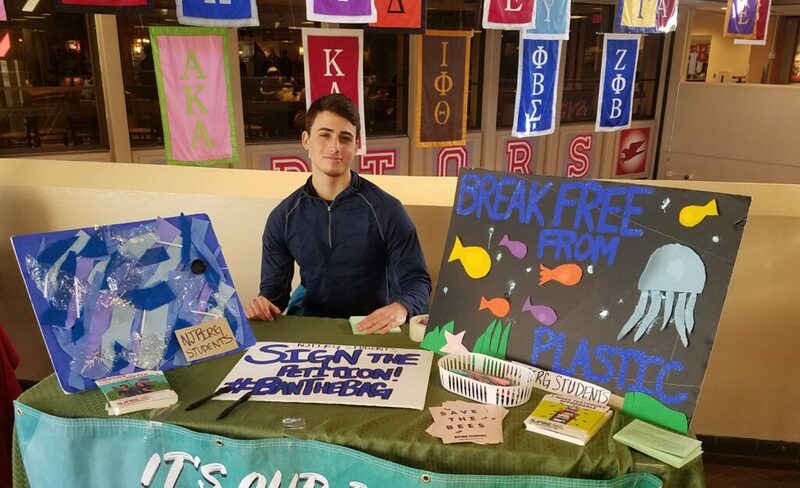 We’re calling for campus and city-wide bans on single use plastic products, including bags, straws and take-out foam cups and containers. 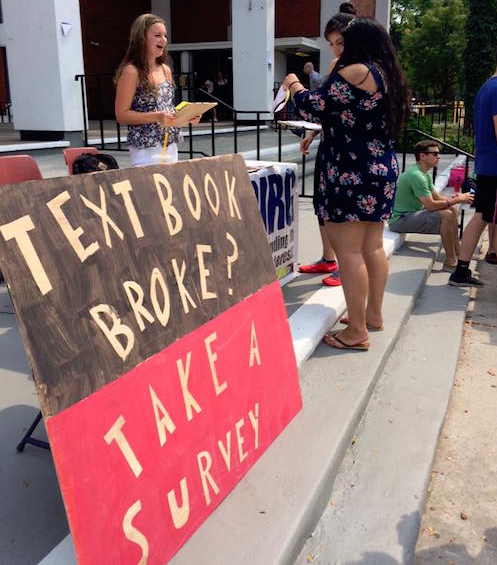 At Rutgers University, students spend an average of $1,500 a year on textbooks and course materials alone. Publishers are constantly implementing new methods to jack up prices, from using expensive online passcodes to creating costly special editions that make purchasing of used books a hassle. These tactics leave students trapped, with textbook prices rising four times as fast as the rate of inflation. A new approach is needed to create a long-lasting difference. 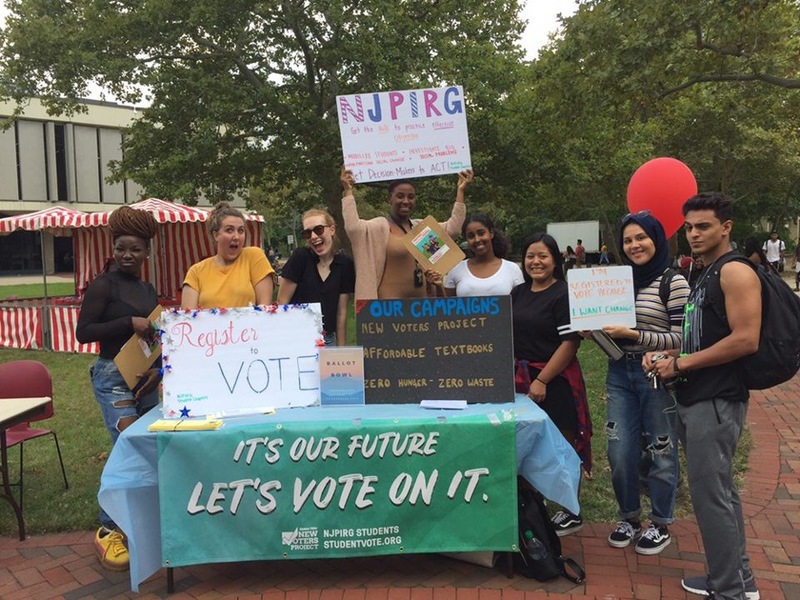 Luckily, NJPIRG has won real change with our Open Textbooks campaign, which focuses on the cost-saving power of open source textbooks which are published under an open license, making them available at low or no cost! In February 2016, the President of Rutgers University agreed to fund a $12,000 grant program to encourage faculty to adopt open textbooks in their classes. Since its start, the program has already saved Rutgers students $2.1 million. Our mission is to continue and expand this program so that passing a class isn’t decided by your bank account. We know we can have healthier communities and a livable future for generations to come. But to get there, we must transform the way we produce and consume energy. That’s why we’re calling for a commitment to 100 percent renewable power and expanding access to clean energy for all. It’s a big, bold goal – and it’s a goal that’s 100 percent possible. We’re working to get Rutgers to commit to 100% renewable energy by 2050, with 100% of electricity coming from renewable sources by 2030. In Fall 2018, we successfully had a charge passed through the University Senate Executive Committee to do just that– as well as create a Rutgers Office of Sustainability. 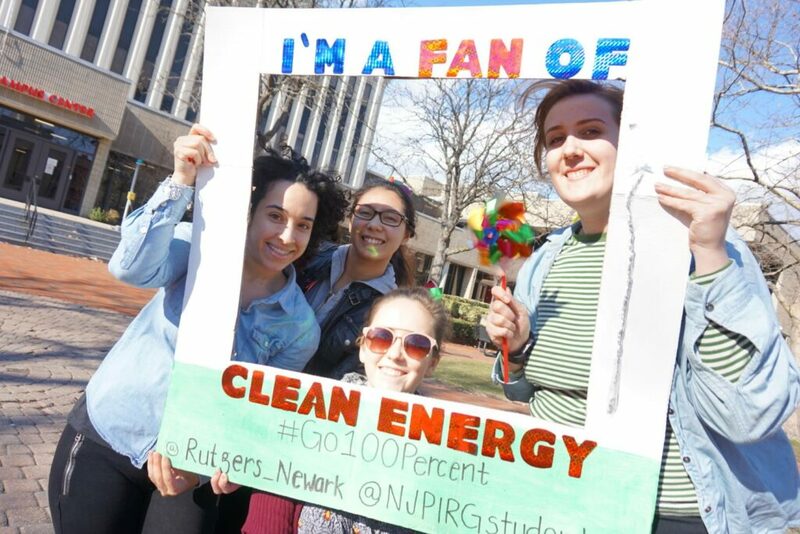 We’re continuing to build support from faculty and students to send a clear message that the Scarlet Knight community is 100% committed to 100% renewables. As we prepare for 2020, we’re working with our campus communities to make it easier and more accessible for students to vote and we’re working with campus administrators to make voting and civic engagement more institutionalized in residence halls, class registration, and other aspects of student life. It’s our future. Let’s vote on it. We rely on bees to pollinate 71 of the 100 crops that provide 90% of most of the world’s food. We’re working to get campuses and cities to ban the sale of bee-killing pesticides. 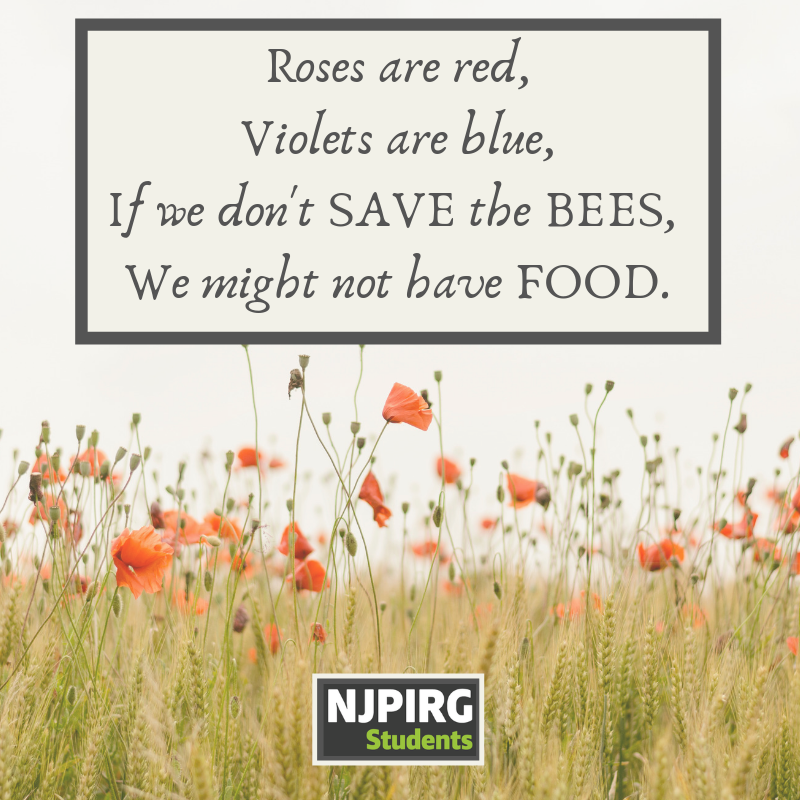 Learn how to make your campus bee-friendly! No one should have to worry about whether they will have food on their plate or a roof over their head. But the reality is that hunger and homelessness are widespread problems that affect far too many people. Poverty isn’t exclusive to any one community. Even college campuses are not immune. 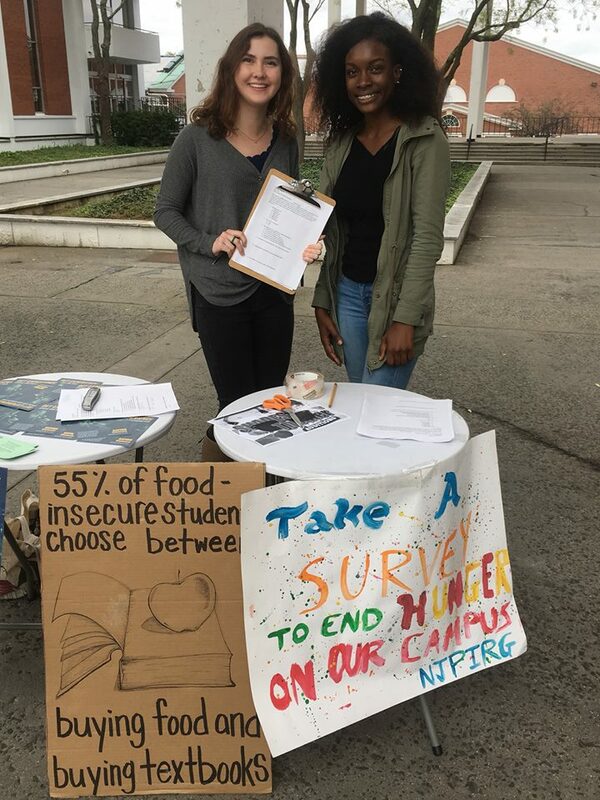 Our latest research suggests that one in five students currently experience hunger and 55% of food insecure students choose between buying food and textbooks. We have the resources and knowledge to eliminate hunger and homelessness in our time, but it remains to be seen whether we have the political will to do so. Fortunately, on campuses across the country, there are students like us who are dedicated to making their communities a better place, and improving the lives and well-being of those around them. Our Hunger Campaign takes this passion and dedication and harnesses it through a combination of direct service, fundraising events, and political advocacy.